This will probably go down in history as a sentinal piece of literature. 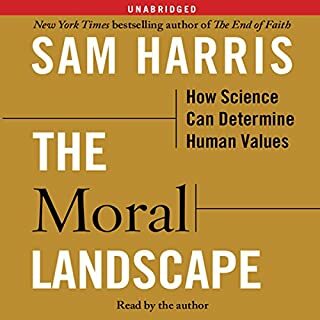 Harris is extremely capable with the English language and introduces many ideas and arguments in this book that require quite a bit of thought to digest fully. I am about to start the audiobook again. In short, this is a must listen. Having said that, there are a few warnings I would add to temper ones expectations. First, I think he would have been better off to give the narration over to a professional reader rather than do it himself. I have heard Sam Harris give public speaches, and he is a fine speaker. However, he is a bit monotone here and at times comes across a little lifeless when it would seem to have been easy for him to be more entertaining. Second, some of the material is so intellectually dense, that you will feel like stopping the tape to ponder and think. Third, his overuse of "etc" is maddening. Minor quibbles with a ground breaking book. Listen to or read this book!